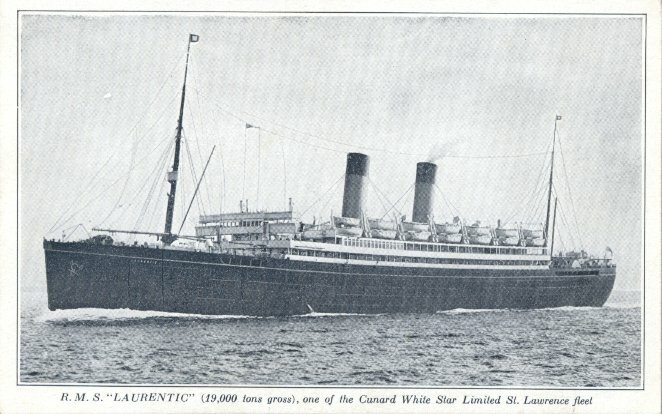 Laurentic became part of Cunard White Star in 1934 and was used exclusively for cruising starting in 1935. 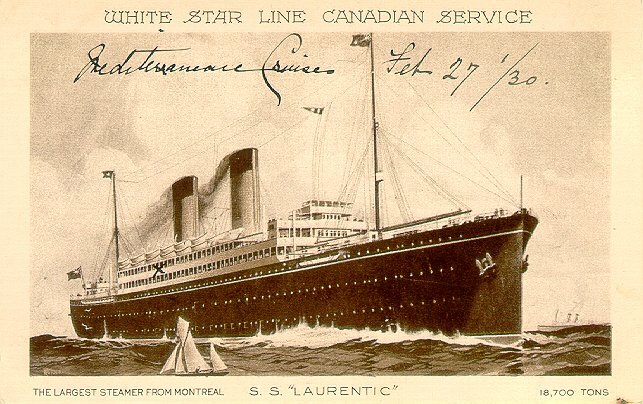 After an August 1935 collision with Blue Star's Napier Star, Laurentic was repaired but did not return to regular White Star service. 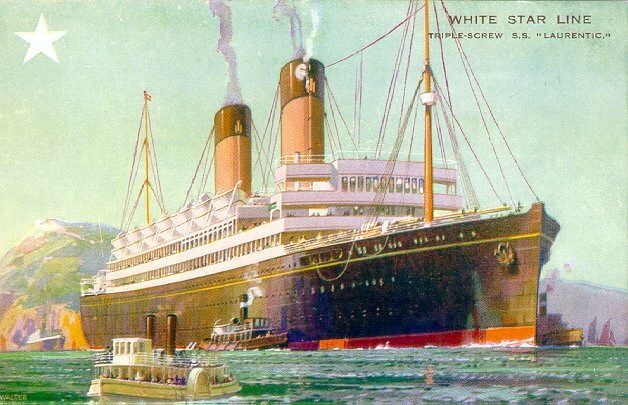 She made three charter trips from Dublin to Le Verdon in late 1935, and saw three months' service carrying troops to Palestine in 1936, but was otherwise inactive from December 1935 until August 1939, when she was taken over as an armed merchant cruiser. Laurentic was torpedoed by U99 and sunk off the Bloody Foreland on 3 November 1940. She had gone to the assistance of Elder & Fyffes' Casanare, which had been torpedoed at about 9:45 pm, and was herself torpedoed three times beginning at 10:50 pm. Armed Merchant Cruiser Patroclus went to Laurentic's assistance. She, too, was torpedoed (five times between midnight and 5:30 am) and sank. There were 49 deaths on Laurentic and 79 on Patroclus. Sources: Haws' Merchant Fleets; Bonsor's North Atlantic Seaway; Williams' Wartime Disasters at Sea; Kohler's White Star and Maple Leaf-R.M.S. Laurentic II (in Titanic Commutator).